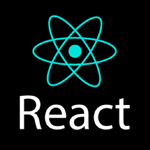 I’m planning a big React web development course. In this video I cover how to set everything up on MacOS including : Node, HomeBrew, React, Express, Popper.js, JQuery, Bootstrap, MongoDB, WebPack, Babel and the directory layout for my upcoming tutorials.I attached links to everything I already have tutorials on. All of the code used follows the video below. If enough people want me to do the same for Windows leave a request in the comments and I’ll make it.